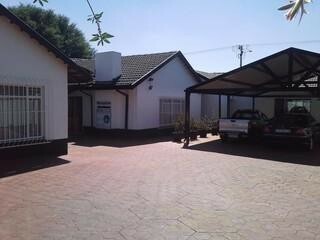 Sign up and receive Property Email Alerts of Training Facilityies for sale in Wierdapark, Centurion. Spacious modern kitchen, with gas hob, double oven, separate laundry/scullery area and ample work space and cupboards for catering. Neatly finished gents and ladies toilets. 8 Carports and parking for 17 other cars. The library area can be used as a flat as it has a separate bedroom, living area, kitchenette and bathroom. Sign-up and receive Property Email Alerts of Training Facilityies for sale in Wierdapark, Centurion.